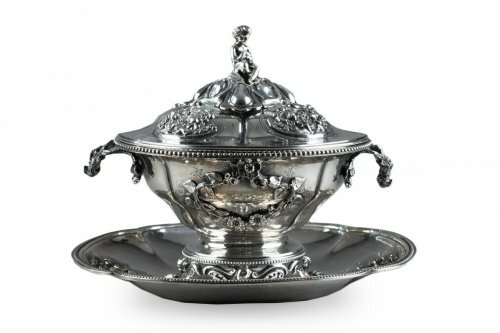 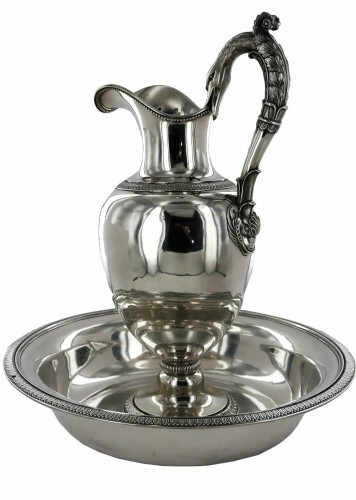 AnticStore > Catalogue > Antique Silver > 19th century > Silver Oille Tureen by Emile Hugo Late 19th Century. 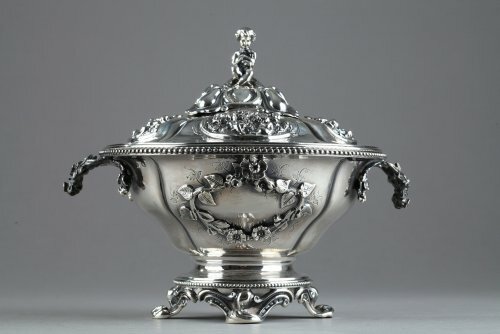 Silver Oille Tureen by Emile Hugo Late 19th Century. 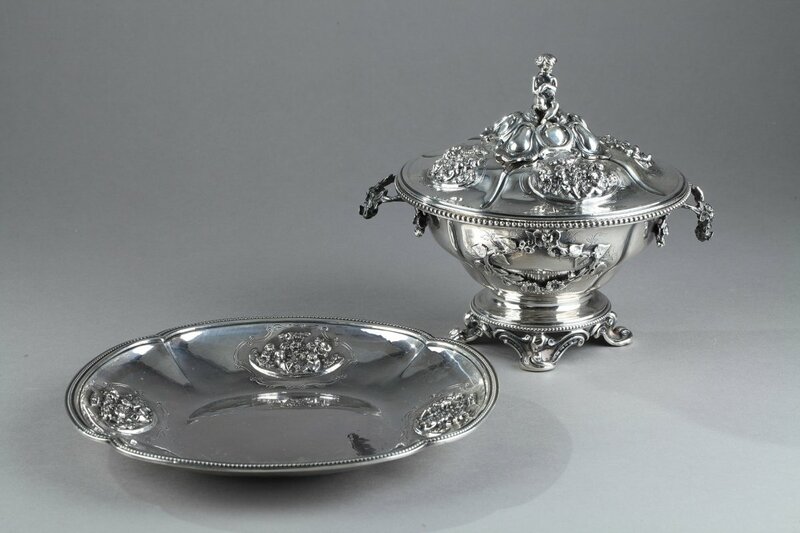 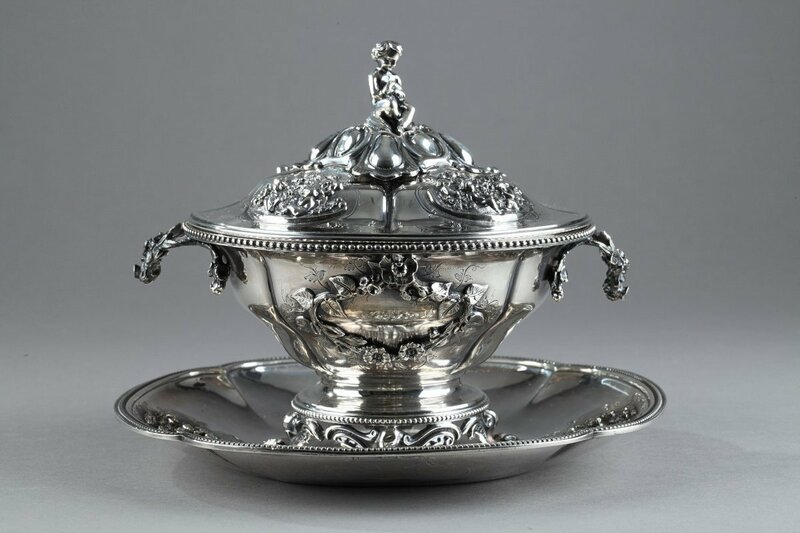 Exceptional tureen with its multi-lobed, silver platter. The circular tureen is set on four feet and is decorated with a floral wreath in relief. 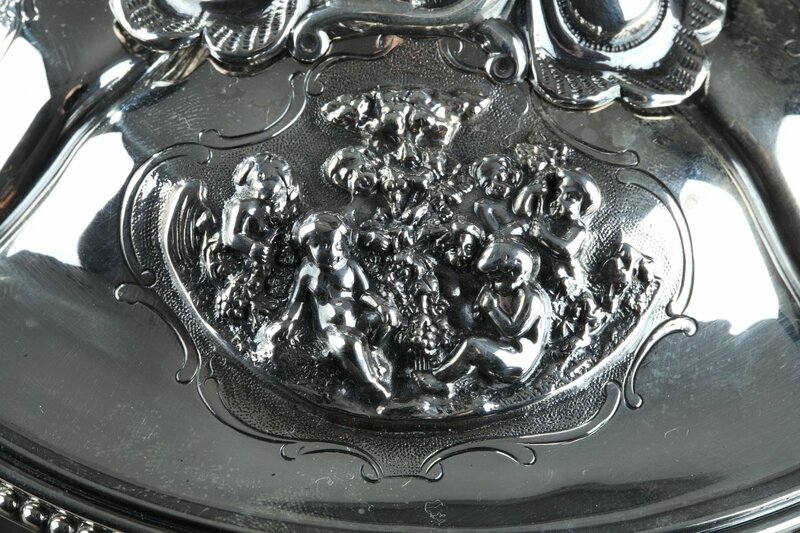 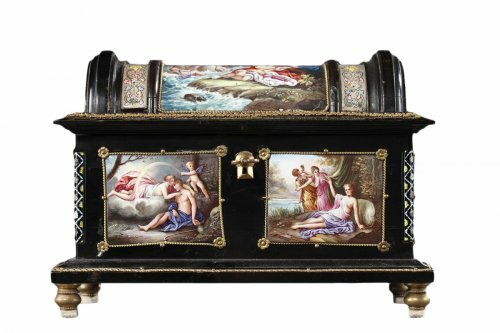 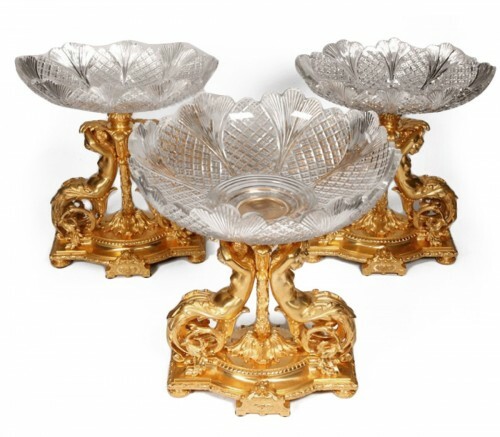 The lid and the platter are embellished with four intricately sculpted, Rocaille-style cartels featuring putti reveling in the grape harvest. 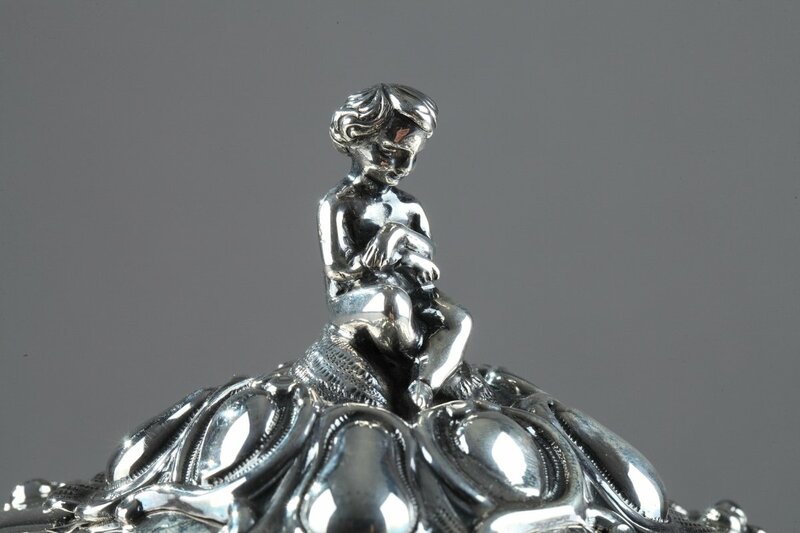 A putto sits atop the lid to serve as a handle. 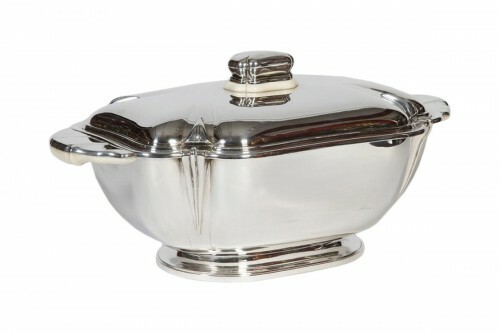 The oille tureen is both a recipient—destined to hold sauced meats and stews—as well as a decorative statement that was important to meal service done in proper French style. 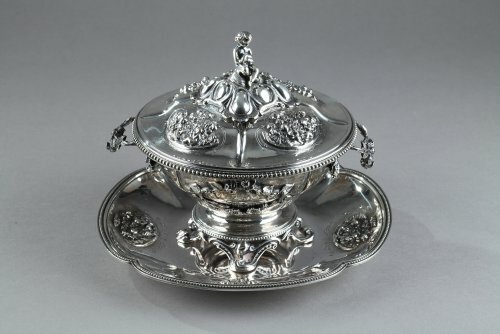 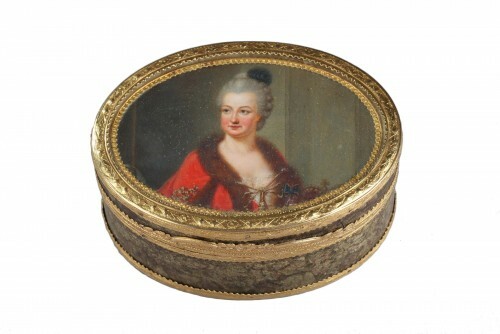 It made its appearance at the end of the 17th century to the early 18th century. 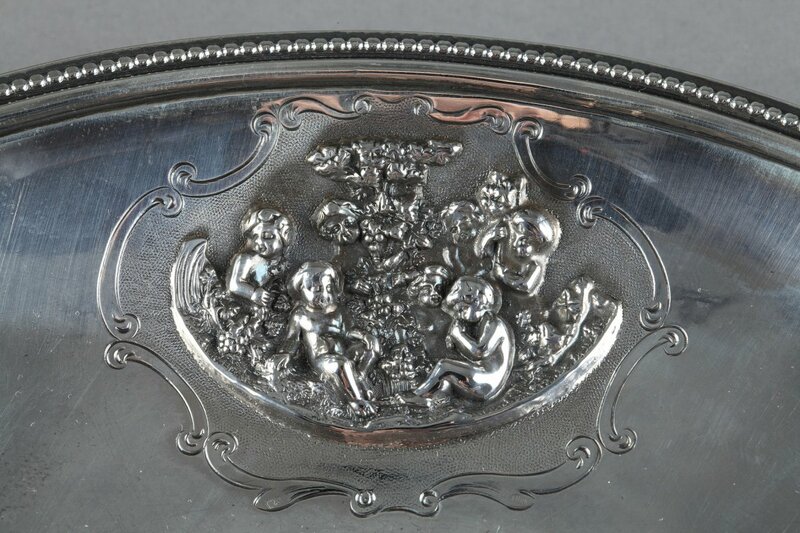 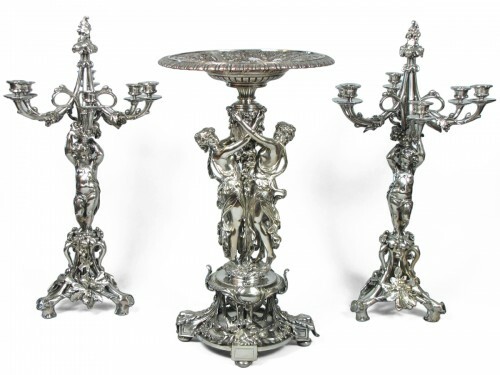 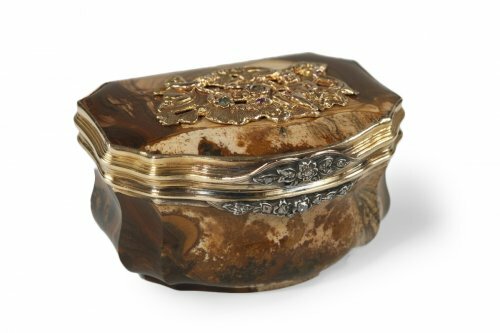 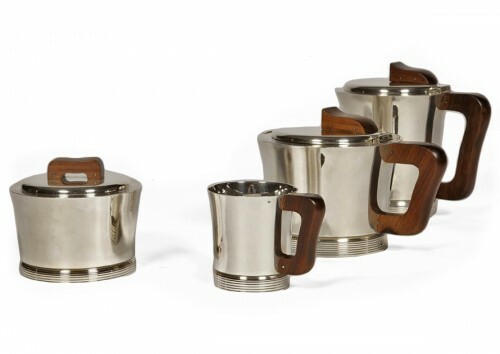 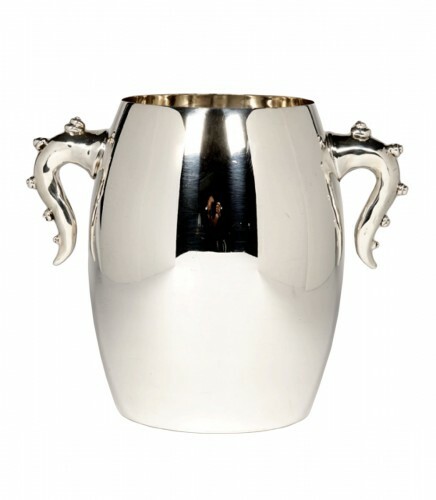 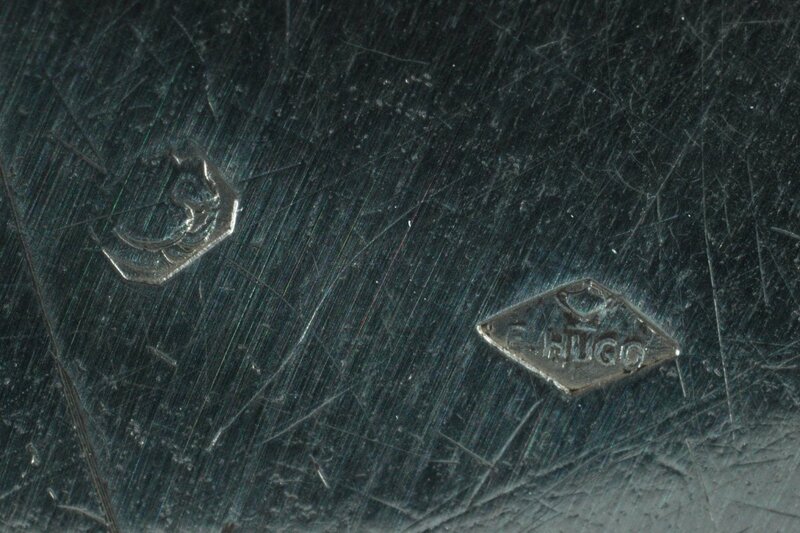 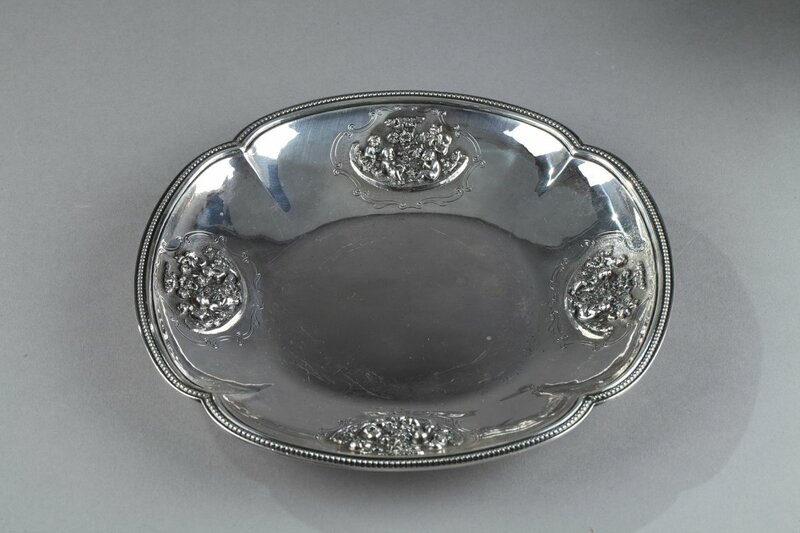 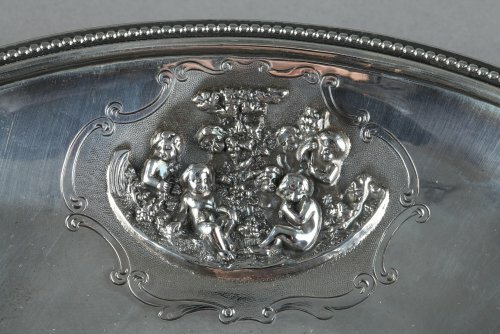 Master Silversmith: E.Hugo (for Émile Hugo, active between 1853 and 1880). 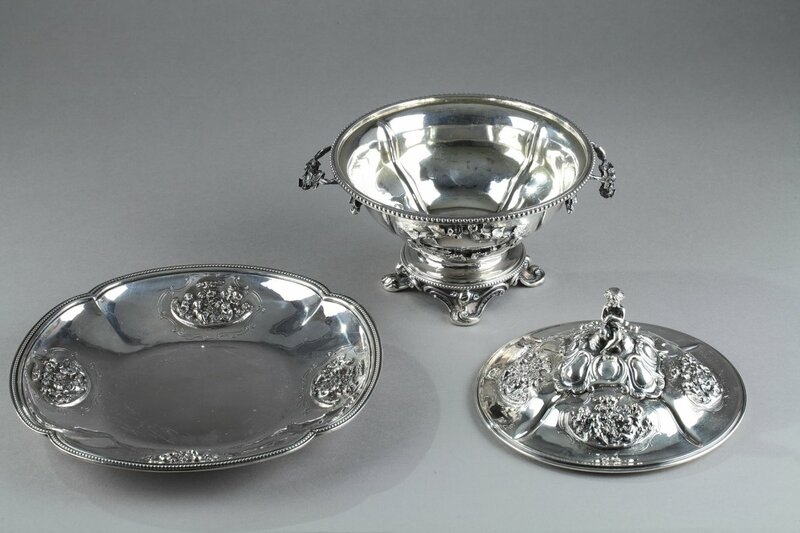 Work from the Napoléon III period.